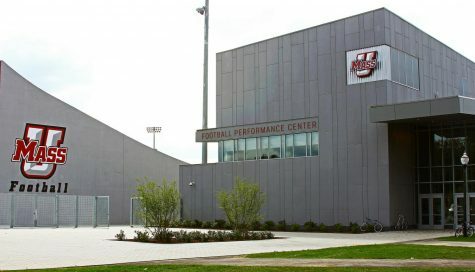 Coming into the 2016 season, the rushing attack was supposed to provide a major spark for the University of Massachusetts football team. 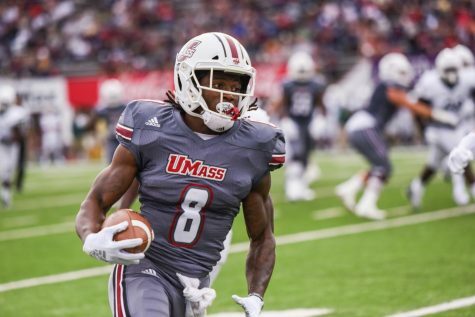 UMass (0-2) had just lost two of its biggest offensive threats in former quarterback Blake Frohnapfel and former wide receiver Tajae Sharpe and the Minutemen’s stable of running backs was supposed to carry a major load going into the new season. Two weeks into the season, it appears they have failed to live up to expectations. 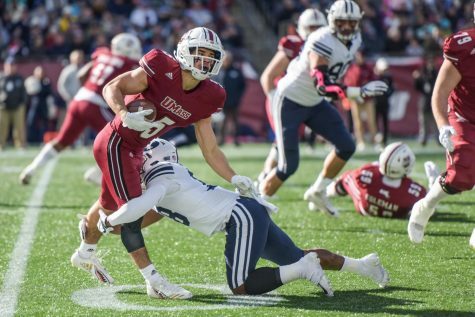 UMass ranks dead last—128 in the country—in total rushing yards this season, with only 23 yards as a team. Only two other teams, Oregon State (89) and Kansas State (92), have less than 100 yards rushing thus far. 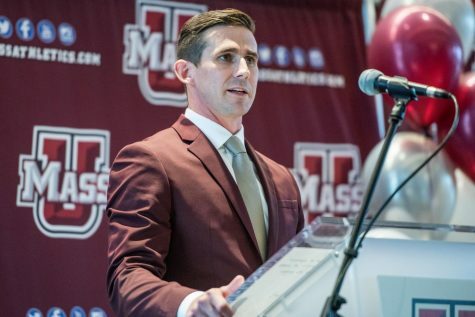 The Minutemen’s first two opponents, Florida and Boston College, are known for having stout run defenses, but UMass head coach Mark Whipple will be the first to tell you his team needs to be better on the ground. Marquis Young has epitomized the Minutemen’s struggles in the rushing game early in the 2016 season. Young finished last season with a bang when he rushed for 240 yards against Buffalo in the season finale. 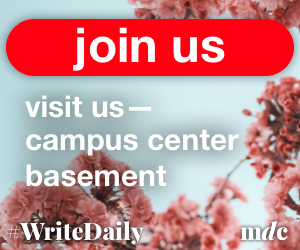 This season, the sophomore has failed to duplicate that success. Through two games, Young has rushed for just 86 yards and his biggest asset, his speed, has been kept in check with his longest run being just eight yards. Young knows his early results haven’t been what he or the team was hoping for, but he isn’t going to put too much stock into those struggles. All blame can’t be placed on Young for his slow start, as his offensive line hasn’t done him much favors. 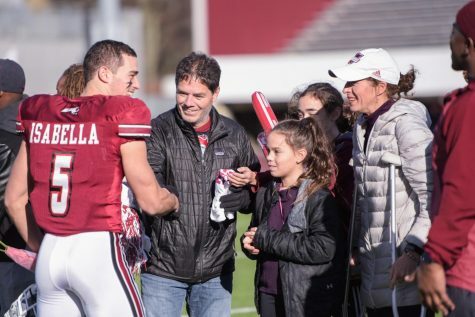 Last Saturday against the Eagles, UMass allowed eight sacks and struggled to contain the Boston College defenders from swarming the box and wrapping up Young before he even had room to make a move. Redshirt senior Michael Boland is no stranger to the pressure of being on the offensive line, starting at guard every game for the past two seasons. He knows his unit has to step up their game to aid the rest of the offense. Luckily for the Minutemen, they may have already seen the two best run defenses they will see all year. 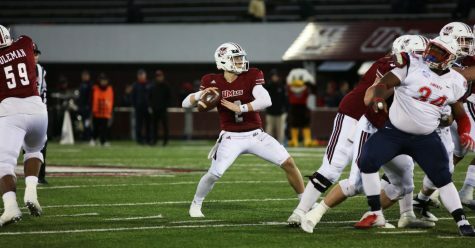 This week, UMass hopes to see better results on the ground and the Minutemen’s next opponent might have come at the perfect time. 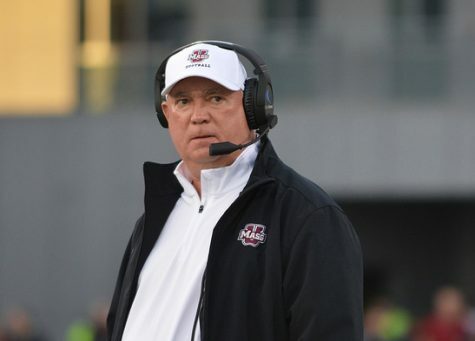 UMass gets ready to take on Florida International (0-2) this Saturday at McGuirk Stadium. 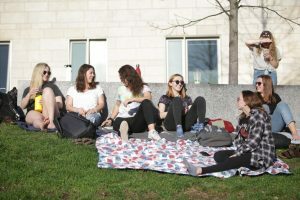 The Golden Panthers started off their season with two matchups against Big Ten opponents, Indiana and Maryland, losing both games by more than 20 points. FIU comes into the game with one of the worst ranking run defenses in the country, allowing 242.5 yards per game on the ground, good for 15th worst in the nation. 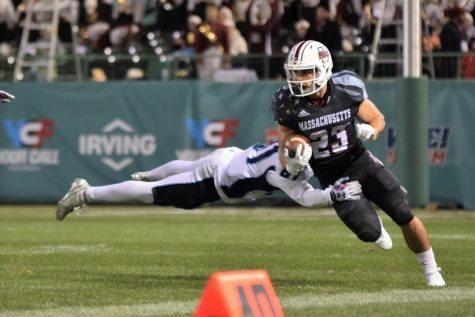 If the Minutemen are looking to break out in the rushing game, this may be their week to do so. 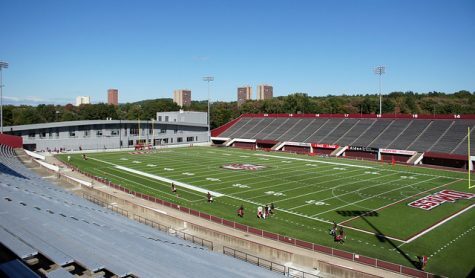 With both teams coming at 0-2, the stakes of Saturday’s matchup will be high as UMass and the Golden Panthers look to right the ship of their season. Kickoff is set for 3:30 p.m. Saturday at McGuirk Stadium.